1963. 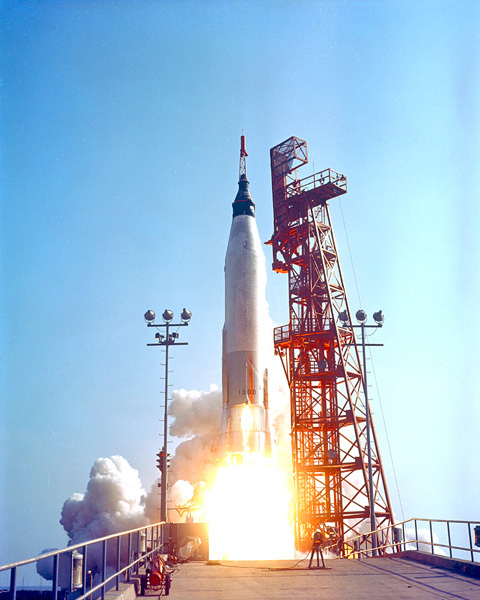 Mercury-Atlas 9 lifts off from Pad 14 at Cape Canaveral with astronaut L. Gordon Cooper aboard Faith 7 for the nation's longest manned orbital flight. 34 hours, 20 minutes, 30 seconds, and 22 orbits later, Gordon Cooper was resting in his Faith 7 space capsule in the blue Pacific Ocean.